What is a Special Population? Introducing the National Strength and Conditioning Association's new Certified Special Population Specialist (CSPS) credential, established in 2012 to address the fitness needs of individuals afflicted by chronic or temporary health conditions. Tammy Kovaluk, CSCS, introduces the "pac-man drill" (also known as the "Ickey shuffle") which can be used for speed, agility, and quickness sessions. The rise of adaptive and Paralympic sports provides an opportunity for strength and conditioning professionals to share their expertise with a wider range of athletes. This article summarizes working with a physical therapist to build an annual training program with a focus on periodization for a Paralympic discus thrower. 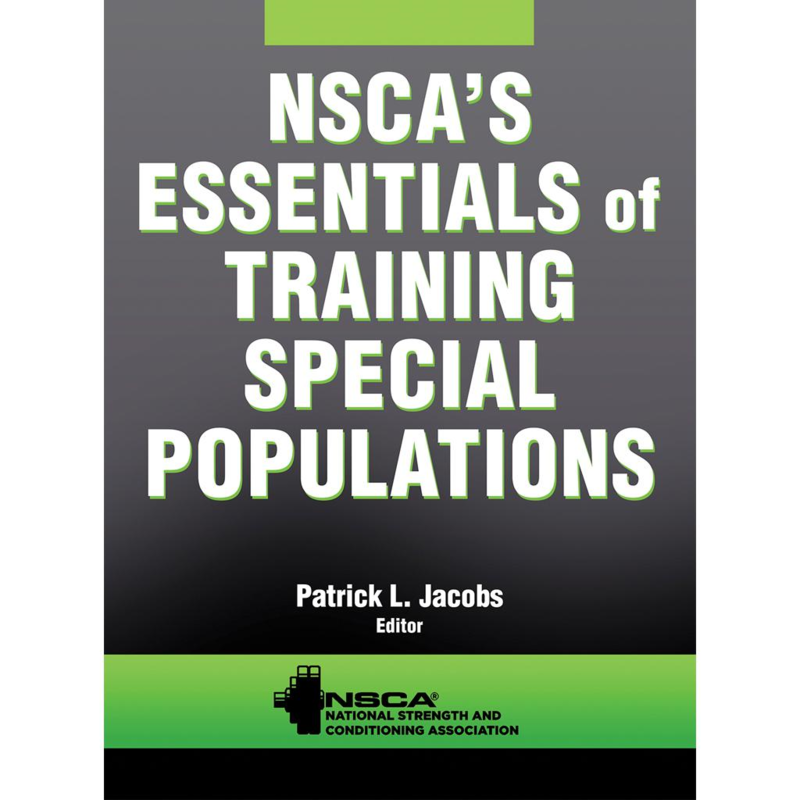 NSCA’s Essentials of Training Special Populations is an ideal preparatory guide for those seeking CSPS certification. The book is also a practical reference for exercise professionals who work with clients with various conditions and disorders. Most people suffer from some degree of injury, illness, or disease at some point. As a result, there is a need for strength and conditioning professionals who can develop effective exercise programs for people with disabilities.